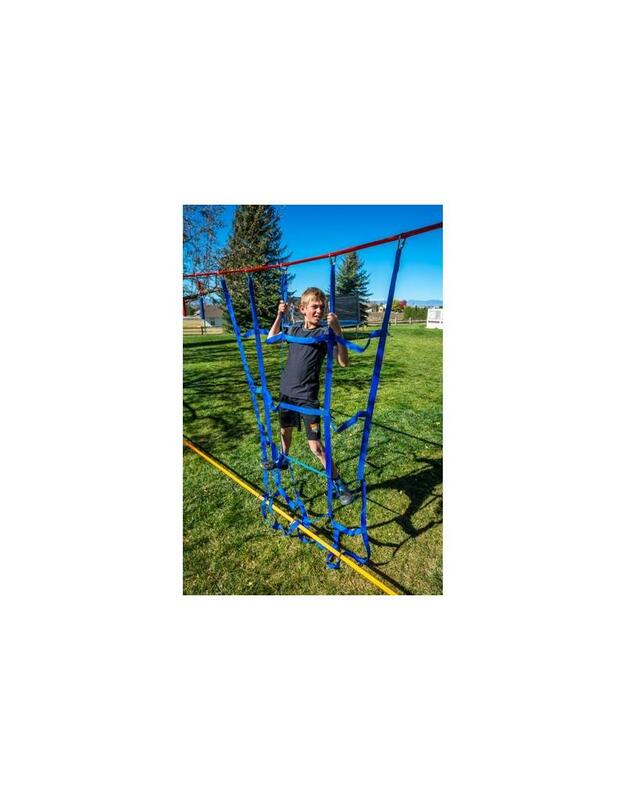 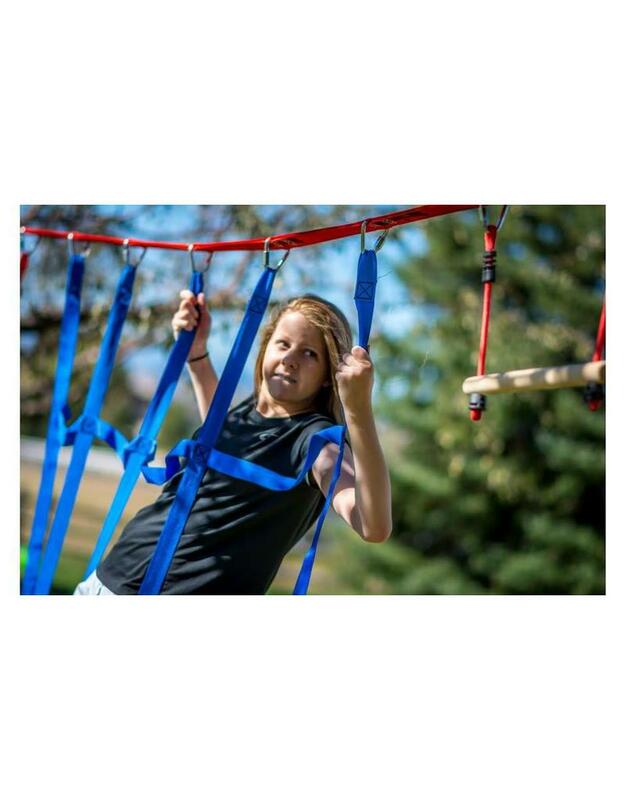 Climbers can rejoice with the 6.3’ width x 7.7’ length cargo net, which attaches to the Ninjaline to create a variety of obstacles. 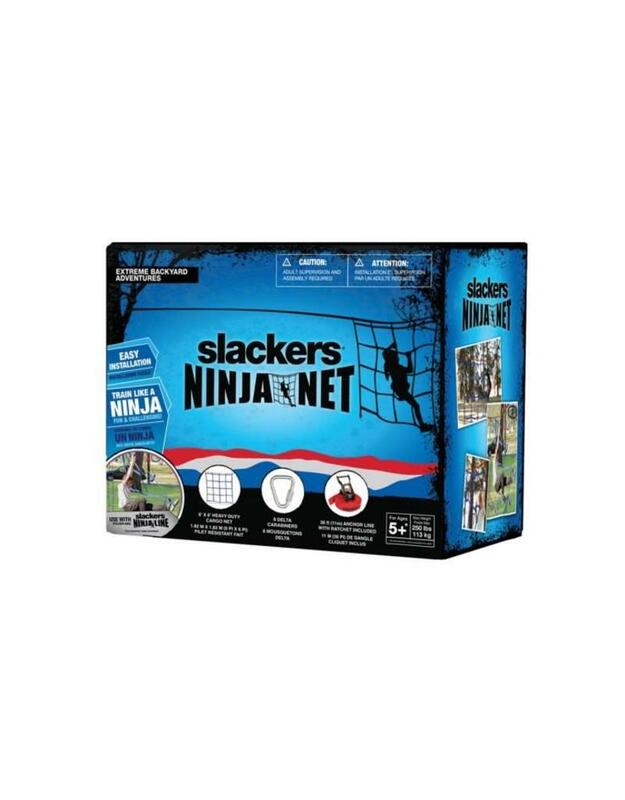 Includes Heavy Duty Cargo Net made of polyester webbing strap with nylon double stitching, 5 Delta carabiners and 36' anchor line. 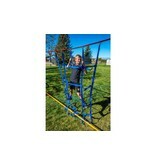 Anchor line adds stability at the base but can be removed for additional difficulty. 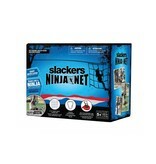 Ninjaline sold separately.